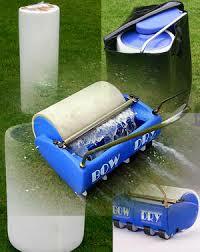 Bowdry is a revolutionary surface water removal machine – and is designed to remove standing water from any surface. 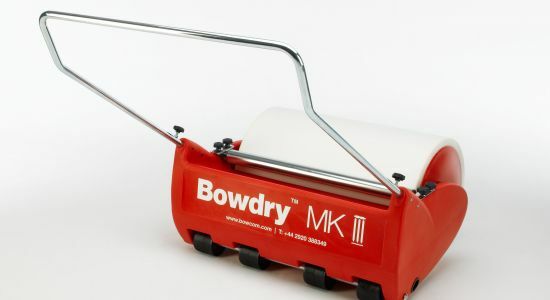 Now, with the release of the new, improved Bowdry MK III, water removal has become even easier. 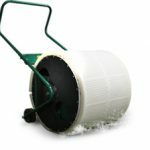 Bowery MK III incorporates a wider, durable foam roller that efficiently absorbs the water and does not damage turf. An integrated storage tank collects the excess water and can then be easily emptied from a valve located on the side panel. 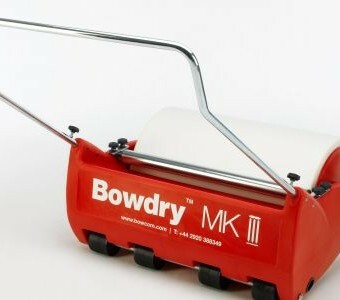 Bowdry MK III also retains a four wheel chassis that evenly distributes the weight, ensuring effective water removal is achieved even on the finest turf. 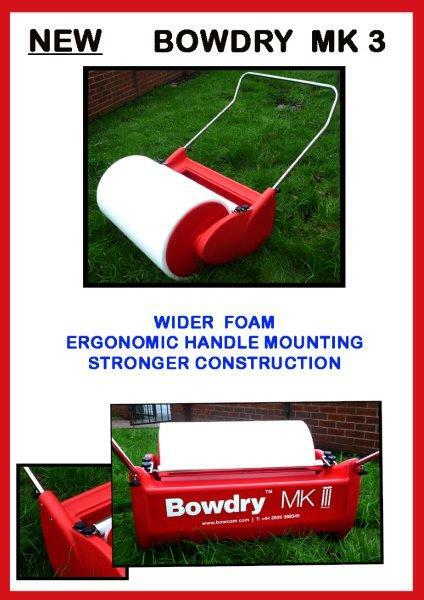 The new Bowdry MK III is delivered ready for use, simply unpack, slide on the handle and go. 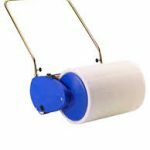 It comes ready for use – simply unpack – fit the handle and soak up the water and can collect over 60 litres of water in a minute. 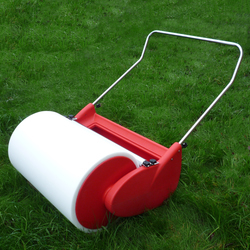 It incorporates a durable foam roller and does not damage turf. An integrated storage tank collects excess water and is then easily emptied from the valve located on the side panel. A 4 wheel chassis that evenly distributes the weight. 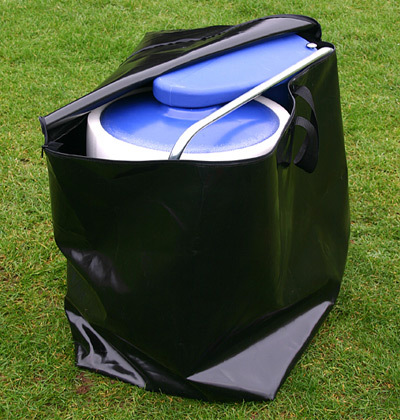 The Bowdry storage bag is available – made from tough heavy duty vinyl with an all round zip and carry handle to protect the foam against accidental tears. 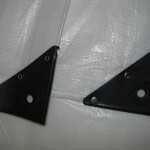 Replacement foam is also available. We bought a Bowdry recently from Cartwright sports. This is a brilliant machine for collecting up surface water that can then be disposed of easily via the main drain. 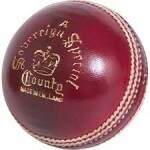 An absolute must have for any cricket club, supplied at a great price & delivered promptly free of charge!! 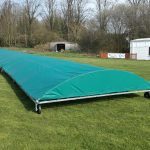 Since we bought our bowdry from cartwrights sports its been mostly stored away but just recently the bowdry has saved 2 fixtures from abandonment. Without it we would have been without the points. An essential bit of kit for any cricket club. Simple to use, lightweight and easy to move even when full.